Firstly, I thought I was going in to watch a straight Telugu film, not a dubbed one. With that out, let me talk about Love Failure. M. Balaji has made some awesome short films. I absolutely love his work. He kinda makes you feel that it is you he’s talking about. 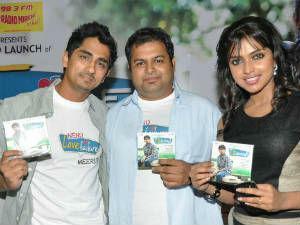 Love Failure is one such short film, unfortunately, one which is dragged for more than two hours. If you’ve seen his work before, there nothing new the film has to offer. He’s got a couple of episodes from Mittai Veedu, and the rest is an extended version of the original nine minute Kadhalil Sothapuvathu Eppedi. He’s even got most of the cast reprising their roles. It’s got its moments in abundant and reminds you about yourself a zillion times. But Love Failure fails to create the magic. It’s more of a teenage love story (infatuation) with a predictable ending, and looks more like a youtube film than a commercial feature film. Bottom-line, it’s not something you need to run to the theaters for, nevertheless, a decent watch. For a detailed review, read on..
Arun (Siddharth) and Parvati (Amala Paul) are batch mates in an engineering college. They become friends, and over a time develop feelings for each other and get into a relationship. Arun is a regular, nonchalant guy and Parvati happens to be one who expects Arun to be more serious about their relationship. They break up. Rest of the story is about how they realize their immaturity and get back together. 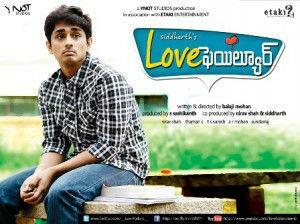 Siddharth is pretty good in the lead role. He looks young, and is performed with ease. His dialogues are very well written, and he manages to carry them off to perfection. But at the same time, I kinda felt that he had too much unnecessary screen space (I believe the director had no other choice with him being the producer). Amla Paul looked really odd. She passed off like a teenage girl, yes, but I thought she didn’t fit the bill. Vignesh and Arjun are brilliant as Arun’s friends. They perform with super-ease. Suresh and Surekha Vani are alright as Parvati’s parents. Suresh has a meaty role after a while. The rest of the cast is alright. 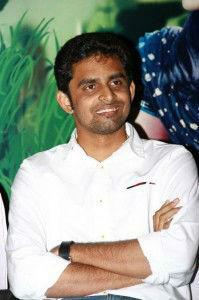 M. Balaji is a fine director with great potential. His short films are a craze on the internet. The way he showcases teenage emotions is brilliant, and you’re able to connect to them in some way. Love failure makes you connect at different levels (I’m guessing that most of us have gone through a similar teenage love story in our lives). But what fails is his reasoning towards the end. It kinda makes you feel like “this is what they broke up about?? seriously??”. And since it’s an adaptation of his short film, he had to drag it for over two hours. The script should have been much better than what it is. I was seriously yawning in the second half. At the same time, it had moments of sheer brilliance, like the episode where he compares girls crying to opening of a dam (isn’t that true ;)). The screenplay is pretty alright, and the direction is perfect. With better scripts, Balaji will be the next Shekhar Kammula. But he seriously needs to get out of the youtube zone and add some commercial elements to the movie. There were points where the audience was talking louder than the characters on-screen for they were getting bored! Music by Thaman is alright. A couple of songs are really catchy. Background score is more of a ripoff from the short films. It could have been better. Lyrics by Srimani are horrendous, especially for the title song (Parvati). Dialogues are brilliantly written. They have a regular conversational tone to them which makes them work really well. Cinematography by Nirav Shah is alright. 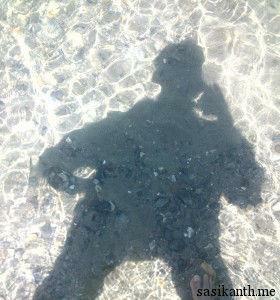 He captured the beach shots well. Editing by T. S. Suresh could have been way better. The film was way too long for its plot. It’s a film made on a very small budget. The cast and locations are very limited, but they meet the purpose. The production work though could have been way better. Having announced it as a bilingual, they should have made a proper Telugu film!